Hi, my name is Jami Lee LeBoeuf. 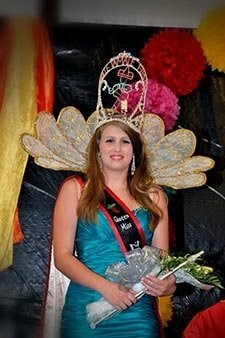 I am the 39th annual Zwolle Tamale Fiesta Queen. I am the 20 year old daughter of Eric LeBoeuf and Desiree Romero. My paternal grandparents are Gerald LeBoeuf and the late Myra LeBoeuf. My maternal grandparents are Rogerest Romero and the late Carol Romero. I have a brother Cody Fontenot and sister Kasey LeBoeuf. I am a 2012 graduate of Pleasant Hill High School where I was a Cheerleader, Peer leader, a member of my senior homecoming courtand participated in many other activities such as BETA, FFA, FCA, and SADD. I currently attend Northwestern State University where I am majoring in Veterinary Technology to someday become a Registered Veterinary Technician (RVT). I also am a member of Northwestern’s Vet Tech Club where I help raise money for food, vaccines, and treatments for shelter animals all while working to help them find a new home. When not in school I enjoy spending time with friends and family, tending to my horses and other animals, riding four wheelers, listening to music, and traveling. I would like to thank my mom and everyone that helped me get ready for the pageant. I look forward to an exciting year of traveling and making new friends. It is an honor to be your 2014 Zwolle Tamale Fiesta Queen and I will do my best to represent such a great festival and community. So don’t forget to come join me the second weekend in October at the annual Zwolle Tamale Fiesta! 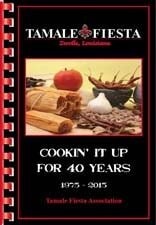 Where our tamales are hot but out festival is even hotter! !